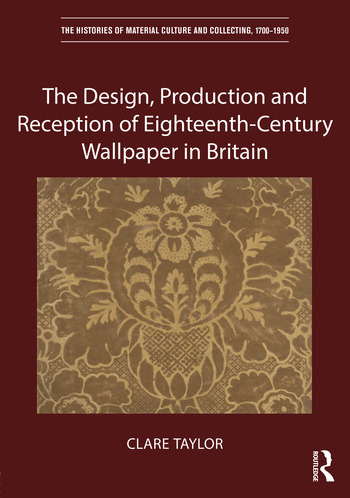 Wallpaper’s spread across trades, class and gender is charted in this first full-length study of the material’s use in Britain during the long eighteenth century. It examines the types of wallpaper that were designed and produced and the interior spaces it occupied, from the country house to the homes of prosperous townsfolk and gentry, showing that wallpaper was hung by Earls and merchants as well as by aristocratic women. Drawing on a wide range of little known examples of interior schemes and surviving wallpapers, together with unpublished evidence from archives including letters and bills, it charts wallpaper’s evolution across the century from cheap textile imitation to innovative new decorative material. Wallpaper’s growth is considered not in terms of chronology, but rather alongside the categories used by eighteenth-century tradesmen and consumers, from plains to flocks, from China papers to papier mâché and from stucco papers to materials for creating print rooms. It ends by assessing the ways in which eighteenth-century wallpaper was used to create historicist interiors in the twentieth century. Including a wide range of illustrations, many in colour, the book will be of interest to historians of material culture and design, scholars of art and architectural history as well as practicing designers and those interested in the historic interior. List of principal wallpapered rooms discussed, c.1714-c.1795. List of eighteenth-century London paper hangings tradesmen discussed. Clare Taylor is Senior Lecturer in Art History, The Open University.